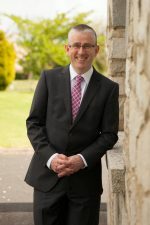 John Burns founded Fariones Cloud Services Limited in April 2017. John is a chartered management accountant with a 1st class graduate diploma in computing. He is an associate member of the Professional Speaking Association, and a distinguished toastmaster within Toastmasters International. John loves to share his knowledge with fellow professionals. Presentation Title: From Ideation to Reality. My presentation will be about my experience of starting my own business, and will evolve around what I have learned over the past 12 months, in terms of networking, building a brand, understanding the features and benefits of my product/service, and engaging with customers.